It may be a mobile-first world, but the truth is, consumers are device-agnostic. Depending on their circumstances, they’ll easily transition from cell phone to laptop and from iPad to smart TV. Similarly, they’ll move easily among communication channels from email to push notification to social platforms on those same mobile devices. For marketers, this makes for a complex maze of touch-points and engagement, not to mention signals and data – and unless you’re focused on creating a seamless omnichannel experience, you’re likely to leave money on the table and your customers feeling you really have no idea what they’re doing from one moment, or channel, to the next. Whether you're just building your mobile marketing strategy or still pulling levels to try to cram your standard messaging into the mobile platform, we're here to help. 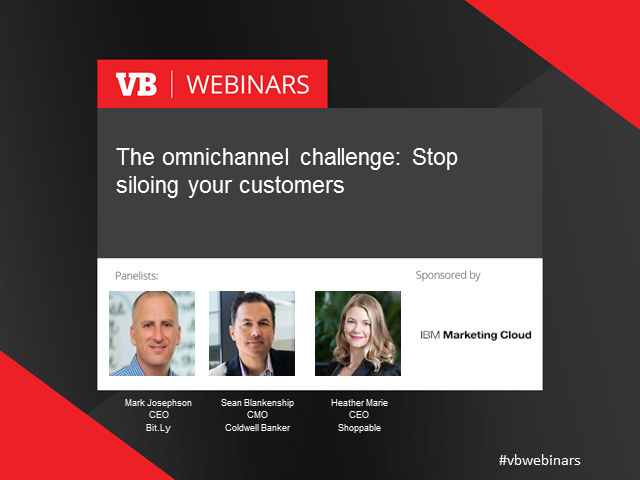 Now is the time to master the omnichannel challenge – and in this webinar we’ll look at the trends that winning companies are capitalizing on and the solutions necessary to create a seamless omnichannel customer experience -- whether you're mobile first, mobile only or mobile-sometimes. * Prepare for the transition from “Mobile Marketing” to “Communicating” in your organization -- and beyond.